The Indian currency hit a fresh record low of 72.91 against the dollar on Wednesday, only to recover to Rs 72.35. The currency has fallen over 13 per cent against the dollar since January. Prime Minister Narendra Modi will hold an review meeting this weekend to find out ways to stop the free fall of rupee against the US dollar. The Prime Minister will also likely discuss measures to contain the ever rising prices of petrol and diesel in the country, news channels reported. The Indian currency hit a fresh record low of 72.91 against the dollar on Wednesday, only to recover to Rs 72.35. The currency has fallen over 13 per cent against the dollar since January. Continuous fall of the rupee has shaken the stock markets. Foreign institutional investors pulled out Rs 1,454 crore from the Indian stock markets on Tuesday alone, which is their highest daily outflow in over three months. The sharply declining rupee is not only increasing the fund raising cost in foreign countries but also making imports of crucial items like crude oil extremely expensive. Experts believe the poor economic scenario in the country could also prove fatal for the Modi government, which has refused to reduce excise duty on petrol and diesel despite the prices touching new highs very day. The Centre currently levies a total excise duty of Rs 19.48 per litre of petrol and Rs 15.33 per litre on diesel. VAT varies amongst states. The Central government had raised excise duty on petrol by Rs 11.77 a litre and that on diesel by 13.47 a litre in nine instalments between November 2014 and January 2016 to shore up finances as global oil prices fell. It has cut the tax just once in October last year by Rs 2 a litre. Considering the General Elections in 2019, analysts believe, the government needs to come up with measures to keep the growth momentum going. Meanwhile, the government may infuse fresh liquidity into the system and also issue NRI bonds to raise $30 billion. The RBI, which has not intervened to prevent the rupee fall so far, could also raise policy rates in its October meeting. 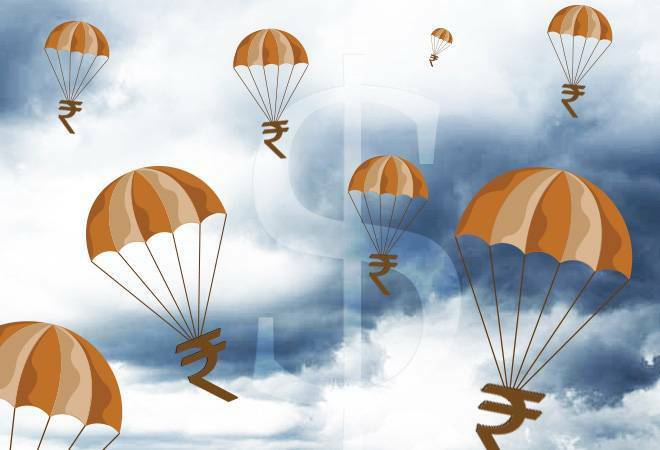 "If the rupee remains under pressure, the RBI might be forced to hike rates citing risks to inflationary expectations and second order impact of a weak currency," said Radhika Rao, Economist, Group Research, DBS Bank, told the Indian Express. The rupee is the latest currency to be dragged down by fears that an escalating trade war could hurt global growth and severely affect Asian economies. The spillover from the emerging-market turmoil in the Argentina peso and Turkish lira is largely weighing on Asia currencies.